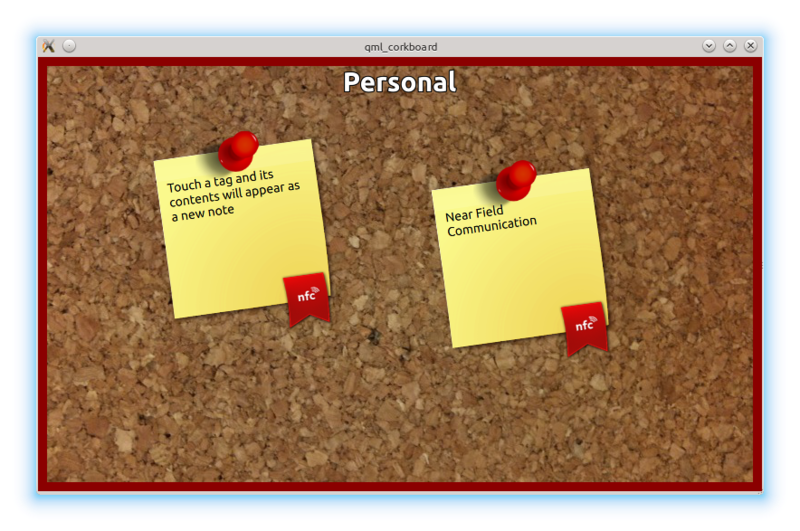 The QML CorkBoard example displays the contents of NDEF messages read from an NFC Tag. Each newly detected NDEF message is added to the corkboard and can be dragged into an arbitrary position on the board. The corkboard has a Personal and Work space. The workspace can be changed by sliding left or right.